I'm reposting this from GoPSUsports.com - it just, to me, is an example of the chasm between the defense and offensive squads. While Lee sounds like a champion, Cadogan sounds like a cyborg. Q: How long has it taken you to get over the Michigan loss and start focusing on Illinois? A: We had a really good practice yesterday; we're thinking about them today. I think we were down on Sunday, when we watched the film, but after we watched the film yesterday in meetings we put it behind us and we had a really good practice yesterday, so we're ready to go for this weekend. Q: How well do you know Lydell Sargeant and what are your thoughts about the job he's done in his first year starting? A: I've known Lydell; we played basketball together when we were young. He's always been a tough competitor, he's always been a great athlete and he really picked it up this off-season working hard. He's done a great job so far this season. Q: Illinois is so much different than any team you've played this year with the multiple quarterbacks. What are you expecting from Juice Williams and the other kid (Eddie McGee) who plays that position? A: We're expecting a lot. He's (Williams) a great athlete and we really have to be conscious all the time because we're dropping back in pass coverage and we have to watch him because if he doesn't have anyone open, he'll drop and run the ball. So that adds a whole entire new dimension to the game for us. Q: When the defense only gives up 14 points and you lose, how frustrating can that be? A: Anytime you lose is frustrating, no matter how the defense plays. There was a lot of stuff we could've done, a lot of mistakes we made. I don't think the defense was very consistent the whole game. We made some plays and then we didn't make plays that we needed to make. We let them drive down the field on us in a critical part of the game and we didn't get off the field towards the end of the game and didn't give our offense enough time, really. We felt like we could've played a lot better and 14 points is too many. Q: You mentioned it was a good practice yesterday. Who sets the tone for a practice? Is it the players, the captains, the coaches? How does everything get re-energized? A: I think it starts with the coaches. They tried to get us to get over the loss because obviously we were bummed a little bit. But it really starts with our captains on the field. With the defense, Dan (Connor); Dan got us going yesterday, got us to practice hard. He made us realize that one loss is not going to define our season. So, it really starts with the captains. Q: Was it frustrating not to be able to get off the field in the fourth quarter and what led to that? Were you guys worked down a little bit by that point? A: I think were inconsistent on that drive. I think their biggest play probably was I was in coverage and (Ryan) Mallett rolled out to his right, and I came up. I think that if I wouldn't of come up too early...that was a huge play. Plays like that where we had the coverage and we just didn't make a play. We just didn't get it done when we needed to. Q: Coming off a tough loss, where do you go from here? A: You just keep working hard...doing the same things we've been doing in practice. It's not effort; it's not effort that's the problem. 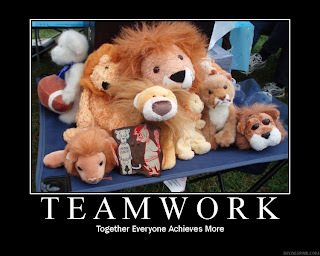 We've just got to execute maybe a little better, concentrate harder at practice and when it comes to game time, just play. Q: How has it helped the defense that a lot of you guys grew up near each other (Pittsburgh area)? A: We all kind of have the same attitude -- tough, hardworking, willing to do whatever it takes to win. And I think we thrive off each other and compete with each other. Q: Have you heard from Puz (Paul Posluszny)? A: I did. I talked to him Sunday. It's a pretty big bummer for him, because he's a warrior and he loves to play. And it kind of puts in perspective one loss; it's not as bad as being out the whole season. When I heard about that (Posluszny's injury), I stopped moping and was ready to get to the next game because I realized it could be a lot worse. I know the exact play - I said the same thing as it was happening. He's seriously one of the best guys ever. Q: Did the team come into the game with the offensive game plan to run the football as much as you did or was that just something the coaches saw with the defense during the game that kind of went to that? A: The coaches put a great game plan together and that was the game plan going into last week's game. Q: That was an old-fashioned physical Big Ten football game. What did that game teach the offensive line, or what did you guys learn from that ballgame on Saturday? A: From each game that we've played thus far this year we always learn something. From this one, we had to learn with games like this it comes down to technique and different stuff like that and working as one team because we can't have breakdowns here and there, so it really helps us to come together. Q: What was the mood like on the sideline for the offense on Saturday? A: The goal was to get points on the board to help our defense out and score some points. The mood was to focus on getting points on the board. 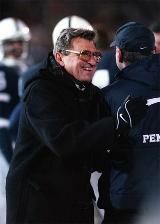 Q: When you look at this game (Illinois) Coach Paterno often says you either get better or you get worse. How important is this game on Saturday to get the season moving forward again? A: This game is like every game that we approach, it is very important. We still have our goals in mind; we still have the goal to be Big Ten champs. This week of practice has to be great, and in this game we have to make improvements in the areas that we might've had some mistakes last week. Q: What areas did you guys see with Michigan's defense that led you believe you could run better than maybe you did? A: I'm not sure; the coaches really put that together, a great game plan. But as I watched film, their D-ends are very fast off the ball and really got a hard charge up the field and then they showed some blitzes that the coaches thought that would be a good game plan. Q: On the left side, in some previous games and this game, if you guys had some more experience would you be able to run off the left side a little better or are teams overloading there? A: Sometimes it has to do with the stunts but for the most part I think we're pretty balanced as far as running to the right and to the left. Q: What are you expecting from Illinois - are they a blitz team, what style defense do they play? A: Their defense is going to shift around a lot, they're going to blitz a lot, their D-linemen are going to move and they're not going to sit still the whole game. That's what we expect. Q: Can you talk about the job done by the guys filling in for John Shaw on the offensive line while he's been hurt? A: Whiz (Stefen Wisniewski), we call him Whiz, and Mike Lucian have been doing a great job stepping up to the plate and they're really getting the job done, especially in practices, making the calls that we need to get called. They've been doing a great job. Q: Where do you go from here coming off a tough loss like this to Michigan? A: There's only one place you can go and that's forward. We have to have a great week of practice this week and we have to get focused on what we have to do and that's beat Illinois. We're taking it one game at a time. The Michigan loss was hard, but we can't let that devastate our season, we have more games to play and we have to focus on this game this week and get the job done versus Illinois at Illinois. Q: Sean said you guys had a good practice Monday. What was your take on that? What really got you guys going again? A: The fact that, like what I just said, that we're focused on what we have to do now. What happened has happened, we can't dwell on it, we have to move forward, that's the only motion that we can do and the coaches are doing a great job focusing us on what we have to do, and that's beat Illinois this weekend. Q: What has Anthony Morelli's mindset been like since you've returned to practices? Is he confident, is he moving past this lost? Yes, we've just had one practice and that was yesterday. But, we're re-focused, we're focused on what we have to do and that's beat Illinois. Morelli's doing a great job calling the plays and doing the calls on the line of scrimmage, the audibles and whatnot. Great gameplan, great gameplan - definitely. Poor kid. Poor us. of all time. ESPN Classics will air the "highlights" of the 1994 Penn State v illinois game today, Tuesday, September 23rd at 8pm (and other times this week). The broadcast is 2 hours long - but it's only the last minute that's really worth watching. That game was outrageous. I watched it over at a friends apartment. I think I scared everyone with my reactions. Kyle Brady cemented his PSU god status that day. The Lions will face the iowa hawkeyes on October 6th at 3:30pm - the game will be televised on ABC. Check out more information on GoPSUsports.com. Our tailgate theme for that week is Oktoberfest - but more on that later. But it's a really good thing that I didn't because if I had - and I had heard about Paul - I seriously might have puked. Posluszny broke his forearm yesterday, during the Bills' game against the (more and more slimy) Patriots - it's a clean break - he'll have surgery today - but he's out for at least 8 weeks - if not the season. The poor kid is devastated - he's such a fighter. Penn State didn't play very well on Saturday. There are a bunch of reasons why PSU lost a very winnable game - it's not that just one would have guaranteed a victory, but, again, it was a very winnable game - The Lions just weren't the team to do it. It's sad - but I'll rationalize that it was the atmosphere, the "curse", it's still early in the season, I wasn't wearing what appears to be my lucky tank top - and that maybe, just maybe, this team can get better - the players have the raw talent to be pretty good - and with some decent coaching and some heart, they could be very good. So I have this idea in my head that they will improve - and this helps me get out of bed this morning, but as I leave the house, I'm saddled with the realization that even if PSU can miraculously turn things around, this really doesn't look to be the season for a "Cinderella" - there are just too many teams out there that are poised to be undefeated at the end of the season - a one loss team (albeit an early loss) with a nonexistent strength of schedule will not be poised to make any kind of "noise" for the rest of the season. And then I think - it would be different if there were a playoff. And then I think - the regular season wouldn't be ruined by a playoff system - it would be saved by it - teams that lose early or stinkily, could still think - well - there's still a chance we'll get into the playoffs - so we've gotta win every game going forward! Cause we might not end up number 2 but maybe we'll be number 8 (or 16 - yes, I realize that I'm really dreaming now - but hey - I don't care). And then I think - everyone who is opposed to the playoff system is just full of lies - they're either lying to themselves or they're being fed lies as part of a much larger conspiracy (as a Penn Stater, I'm much more likely to believe the latter). But then, as I'm walking to work, I sigh. There is no playoff - and PSU looked pretty smelly on Saturday - so let's take this one game at a time. Let's get bowl eligible first. and after all - there is still a lot of tailgating to be tailgated. For Homecoming this season we are planning a Fiesta! theme. We've had a lot of fun with this theme in the past so we're really looking forward to it. Coincidentally, Gourmet Magazine published a special Latin America edition last month! So I tried a chicken recipe last night - It's Pollo a la Brasa - which, reportedly, is a staple Peruvian recipe. The original recipe calls for a whole chicken, cut into pieces, but for the purposes of tailgating, we'll be using drumsticks (legs). Place chicken in a large zip-lock bag. Blend soy sauce, garlic, lime juice, spices and oil in a blender until smooth. Add marinade to bag and cover chicken. Refrigerate for 8 to 24 hours (I let it marinade about 4). Allow chicken to come up to room temperature - heat your grill to high. Remove chicken from bag and discard marinade; pat chicken dry. Reduce grill heat to medium. Place chicken on grill - cook for about 30 minutes. Remove from grill and let sit for 5 minutes - then serve! As always, be careful when cooking poultry - it should reach a minimum internal temperature of 165 degrees. So, the first quarter of the (regular) season is behind us as the team prepares for conference play. Happily, the team has come out victorious in each of its match ups. While we know that the real challenges of the season lie ahead, we can still analyze the numbers to get an idea of the progress the team is making and the contributions being made by individual team members. Obviously, PSU has dominated in its first 3 games. The scoring is fairly equal between rushing and passing (which could be promising). Buffalo scored most of the points against (and in the 4th quarter); the defense has been (relatively) stingy and (at least) 3 of the scores can be attributed to special teams and turnovers. To date, PSU's redzone productivity has been leaps and bounds over last season's performance; let's see this trend continue throughout the season. The opposing team hasn't spent much time in the "redzone" - and while they are scoring 70% of the time, less than half of their chances have resulted in touchdowns. Rushing - 35, PSU; 10, Opp. Pass - 30, PSU; 22, Opp. Penalty - 3, PSU; 4, Opp. Fumbles/lost: 8/6, PSU; 11/6, Opp. Int thrown: 1, PSU; 2, Opp. Again, we see a nice balance between PSU's rushing and passing performance. The defense has posted an impressive 81% rate of return on 3rd downs, while the offense is converting almost 60% of the time. Areas of concern/room for improvement would certainly revolve around the turnovers. PSU's equity on offense is good and the defense's numbers on rush yardage have been excellent. Buffalo alone contributed 339 yards passing and 56 yards rushing to the averages (and, not to harp, again, most of this yardage was amassed during the 4th quarter). Special team kick coverage is something we can work on. Kevin Kelly has been doing a good job dealing with the new kickoff rule - but the coverage team needs to hit the next gear to get to the return man before he crosses the 20 yard line. Jordan Norwood, WR - leads the corps of receivers, with 12 receptions, averaging 11.8 yards per catch and 2 touchdowns. All in all the numbers look pretty good. The Lions have a lot of work to do as the enter the 2nd Quarter of the season and begin their Big Ten schedule. Some areas of weakness have been shown, but we are confident that the team will make the adjustments and improvements that are necessary to succeed. See it. Be it. Win it. Making the road trip to Ann Arbor (or as some have renamed it, Lindsay Lohan)? Heading out to a local beer joint (Mother says that this is a "nicer" term than "bar") to watch along with fellow Penn Staters? Hosting a Detentesque gathering with fans from both teams? Camping outside Beaver Stadium with portable XM radio and fence cutters? or, will you be isolated in your football lair, clutching your favorite football teddy bear, rocking to and fro, capped in tin foil, periodically shouting out "hit him!" "2 seconds!" "Appalachian F#$*ing State!" and "run. forward!"? Joe answers questions about the team's performance to date - and the preparation for the Lions' first road trip. Check out the transcript at GoPSUsports.com. Instructions for tinfoil hat found here (RUTS). Per GoPSUsports.com, kickoff is scheduled for 12pm (ET) - to be broadcast on BTN. of his 2nd "Pontiac Game-Changing Performance." It really was the only play in last week's nominees that was actually "game changing" - the other plays were pretty - but not pivotal. C'mon Andy, let's run this way! As far as the football goes - if they play like that on Saturday - it will not be pretty. Game re-cap on GoPSUsports.com. As far as the tailgating goes - we rock. It was an exceptional weekend - jam packed with great friends, food and fun. She's already learned the D-Will smurk. Leaving for SC this afternoon. Having a mini State High reunion at the tailgate this week - should be fun. Take care of the internets for me - I'll be back on Tuesday (taking Monday off next week, suckers). GO STATE BEAT THE BULLS! Quarless will play - Joe's not sure how much, but it won't be determined by anything discipline related. Anywoo - The tailgate was great (or "grayt" as they say in Scotland) - I'd looooooove to post some pictures, but, for the 2nd week in a row - I forgot the camera - I'm sorry. But - there was tons of good food (even I was impressed by the reaction generated by the meat pies) and great friends. The time went by pretty quickly - there was a moment in the late morning, when I thought it might never be game time - but it was 5pm before I knew it. The stadium looked amazing - I was very pleased with the fan participation. I was really excited for the game, if a little anxious - the beginning of the first quarter didn't do much to make me feel better - I just got angry. It was deflating - and I just wasn't as "up" as I had been. Yes, it's great to win, and to beat notre dame - but for as stunning as our defense was, aided by the insane amount of crowd noise (although I know that we can be louder), their offense was pretty terrible. Whether it was conservative play calling or lack of execution - nd just looked bad - I was more concerned about field position and points against us when our offense was on the field. I've watched the game at home twice now (I fast forward through a lot - especially the beginning and ending of the 1st half) - and Penn State still wins every time - but I do wish that they had scored more points and posted another shut out (nd's scores had nothing to do with the defense). What is undeniable about the commentary is that the announcers were (and, yes, this includes TB) embarrassingly kind to notre dame in their assessments. I'm really glad that we don't play this team again, because the stank of favoritism is sickening. PSU has a lot to improve on before they hit the big ten portion of the schedule. Regardless of what the national media says, the big ten is a tough conference to win and it's especially difficult to go undefeated. I have no idea what's going on in Ann Arbor, but it almost scares me more than if they were playing well - it's just confusing. I posed the question, to fellow fans this weekend, if this is how "the rest of the world" felt when PSU was imploding not so long ago. There's a certain sense of contentment at a big time program's receiving some "comeupins" - but it's disappointing to see a marquee big ten team do so poorly - and it's disconcerting - that isn't the way things are supposed to go - Penn State has to be ready for every game they play - regardless of their opponent's record - we don't have an electrifying offensive attack so we have to analyze and determine how our foe's weaknesses match up to our strengths - and, we need to realize that these other teams will be doing the same thing. to air at 3:30pm (EST) on ABC - September 22nd. I really don't care what anyone says - this game still scares the piddle out of me. We need to be ready. ...Todd Blackledge called the color on the fsu Clemson game Monday night. I only yelled at the tv (as a result of something he said), maybe, 5 times - which is a low number, because I get very agitated by him. ANYWAY - Toddledge, apparently, is going to go all "Food TV" this season and check out a different "local dining establishment" in each of the college towns he visits. Next on his list? State College, PA (not surprising, the 82 team has their TWENTY FIFTH anniversary this weekend, and, luckily, ESPN is covering the game). ANYWAY - it should be interesting to see where he goes. I don't remember any talk about what his favorite places were (I do, however, remember what church he went to). You should stop by our tailgate Todd (we'll be in lot 19 this week, btw) - we're featuring English inspired fare (because, really, who hates the irish more than they do?) - Stilton meatballs, mini beef pies, beer bread keilbasa bites, toffee pie, butterscotch cookies, trifle, roast beef pinwheels with horseradish sauce - and much, much more. If anyone else is interested in stopping by - check out the details at the Diesel Tailgate website or shoot us an email. Goto GoPSUsports.com for the transcript. Joe seemed to be in a pretty good mood. (1) He doesn't know what to expect going into the nd game because the irish are better than they played on Saturday and Florida International wasn't able to "test" us. (2) He did his basic training down in Fort Bragg, NC - so he knows some girls down there who might have daughters, or granddaughters who go to Appalachian State (seriously Joe, it's probably great-granddaughters). (3) michigan's loss on Saturday is the biggest upset since the devil was banished to the Pit(t). (4) The transcriber of the press conference either made a mistake or the PSU press corps need some vocab lessons. (5) Joe likes night games and he astutely noticed that Saturday was the best 12pm student crowd he'd ever seen. (6) Quarless will not play on Saturday and Joe will not give him a hug. Andrew will not see this Joe for a while. on GoPSUsports.com - includes: game stats; team stats; coaches' and players' quotes; game notes and photos. Sean Lee has been named Big Ten Defensive Player of the week - he and the Nittany Lion Defense shut down the Florida International offense, which amassed only 114 total yards (3rd lowest total in Joe Pa's career). Lee is great - there was an awesome segment on the Penn State Football Story this week where Sean was talking about that missed tackle against Tennessee - he might actually remember it less fondly than I do - it's great to see him take full responsibility and just want to get better. He's a smart, talented kid - woo woo!